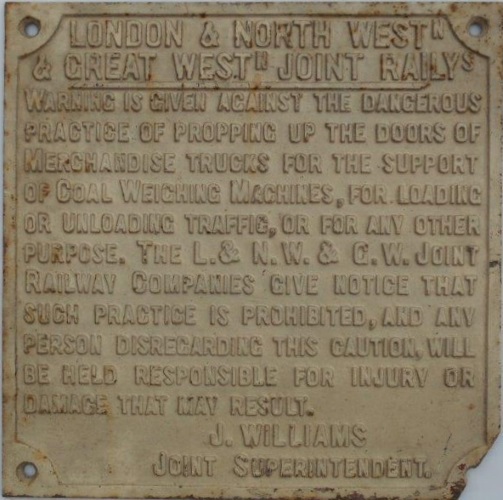 Lot 2 C/I Notice - LONDON & NORTH WESTn & GREAT WESTn JOINT RAILYs - WARNING IS GIVEN AGAINST THE DANGEROUS PRACTICE OF PROPPING UP DOORS - ETC 11 Lines of text. J WILLIAMS JOINT SUPERINTENDENT. Bottom right hand corner missing. Rare example.